Ben Casnocha has a pair of fascinating posts on building a remarkable life. 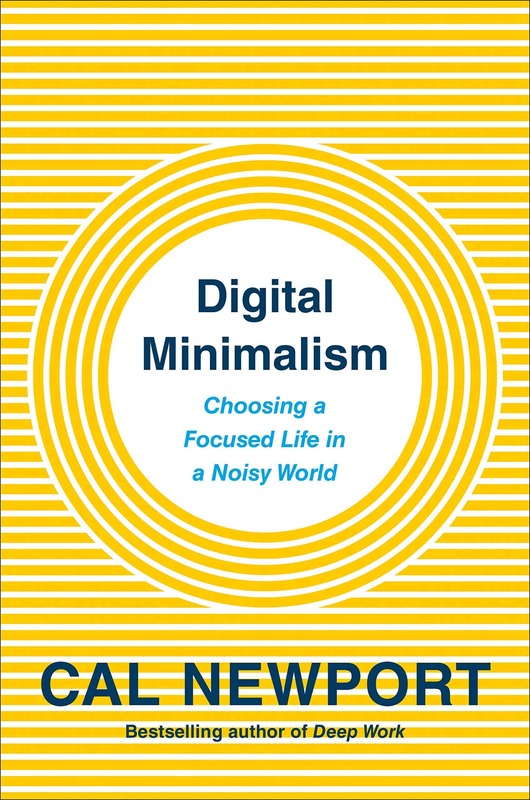 His first points out the contradictions in Steve Jobs’ famous Stanford commencement speech, while the second takes issue with “attitudinal” self-help. Scott Young weighs in with an interesting take on whether the good life is chosen or earned. Chris Guillebeau has an insightful profile of a Tsilli Pines, who quit a corporate job to run her own hand-crafted ketubah (Jewish marriage contract) business. What strikes me about about Tsilli is that she avoided the conventional entrepreneurial wisdom to “start as soon as possible,” instead spending three years tuning and testing her idea until she could make the leap with confidence. I’m in the process of writing a real humdinger of a post. It’s the next entry in my series on applying deliberate practice in everyday life. The focus is how star graduate students become stars (it’s built around an interview I conducted with James McLurkin, the famous MIT roboticist who just got hired at Rice.) The strategy I highlight, however, is wildly applicable to a lot of different fields. Though its primary audience is high school students, it also provides a general look inside the fascinating science of what makes interesting people interesting; so it will hopefully find a home with an even wider readership. As a graduate student, I’m very excited for the upcoming post! I wish I had been exposed to your ideas years ago, in high school and college. I cannot wait to see what your post for grad students will look like. I’m headed off to grad studies in a year from now, and I’d be glad to hear some advice on handling it effectively. So no discount for avid readers? Not that it’s all that important but I’m sure you could cut a deal with your publisher to get a bit of a discount for us. Never heard of Shenk, but his posts are interesting. Thanks for the pointer. I like these quick hits, they bring a little variation. Instead of the long stories, a quick update, quick tip and some cool news! 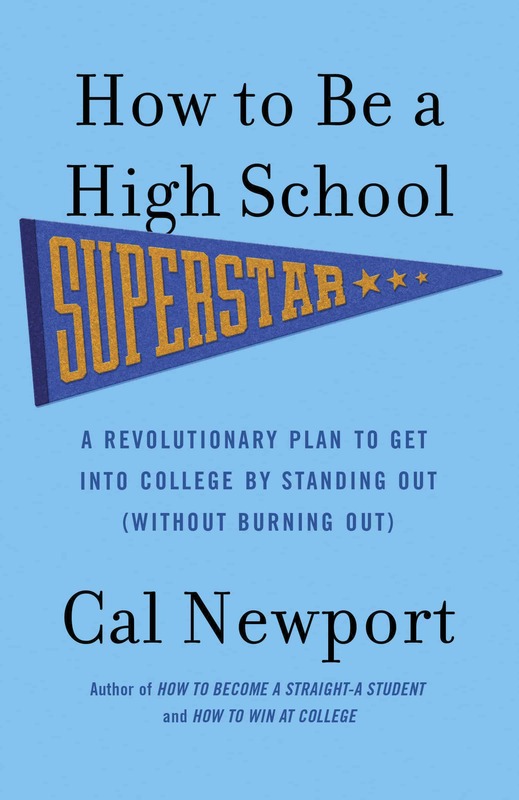 I’m currently a high school student… and I can’t wait for your new book =) I have the little red book, and it’s been working wonders on my grades. I’m positive that your new book will be absolutely amazing. Exited to hear about the graduate school post. Cal, any chances of it developing into a book? You have a book for high school students and undergraduates. I wish I had those books when I was in high school/still a freshman in college. 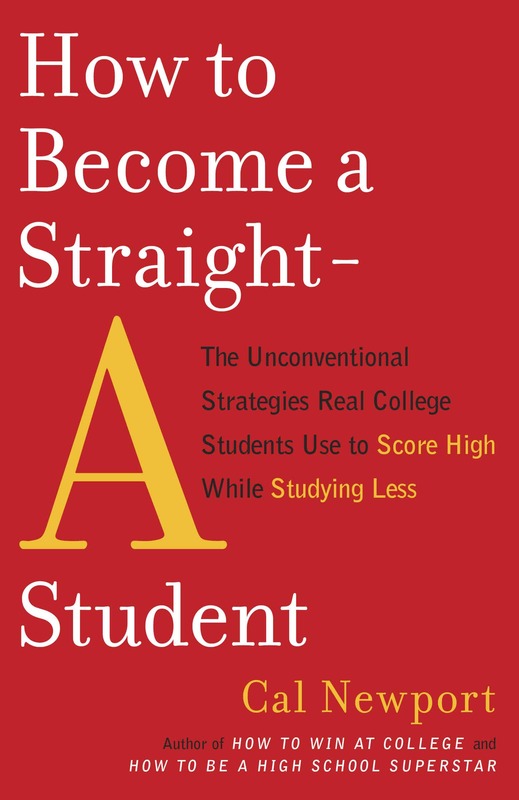 A book for grad students would be so great right now. So no discount for avid readers? I’m not really sure how to do something like that. I have so little control over the economic side of my books! Cal, any chances of it developing into a book? If I land a professorship next year, I’ll almost definitely write a beautiful grad student handbook. If I don’t, I would feel too much like a fraud! 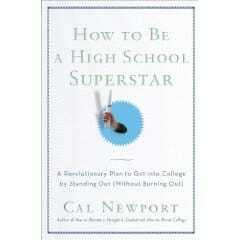 That was the original title for How to Be a High School Superstar. You’ll notice on that web page that the book isn’t available until July. Seconding the sentiment that I’m very glad you’ll be doing a grad school post! Even if your conclusions are tentative while you’re conducting your own job search, I’ve always found your brief mentions of your grad school work style to be quite helpful. The “churn rate” is a current favorite of mine. Like many others, I am really excited about your next post. I’m in my third year of university now in Science and I’m considering going into graduate school, and possibly med school afterwards. By the way, can you express some thoughts on the importance of the “name” of the school (i.e. top schools vs. above medium ranking school)…Do people in the work field really emphasize it THAT much? First of all, thank you so much for maintaining Study Hacks. Your posts have really helped me think about what I want to do and the rest of my undergraduate career with greater clarity. At the risk of sounding inane, much of the difficulty in undergraduate homework/problem sets is understanding the question that is being asked. Often times, once it is known what the question wants, the answer (or answering process) is trivial. Is there more to solving this problem or is it as simple as read, review, and reflect. As a prospective grad student (sophomore undergrad)– looking forward to that coming post! Thank you very much for pointing me towards the blog of the author of Data Smog that I read a year ago. And of course, thanks for your blog as a stand for reminding students of a sanctuary for sanity in approaching their studies. In the last 3 months, I’ve read and re-read your entire blog. It’s fantastic. Thanks! Really looking forward to that next post. 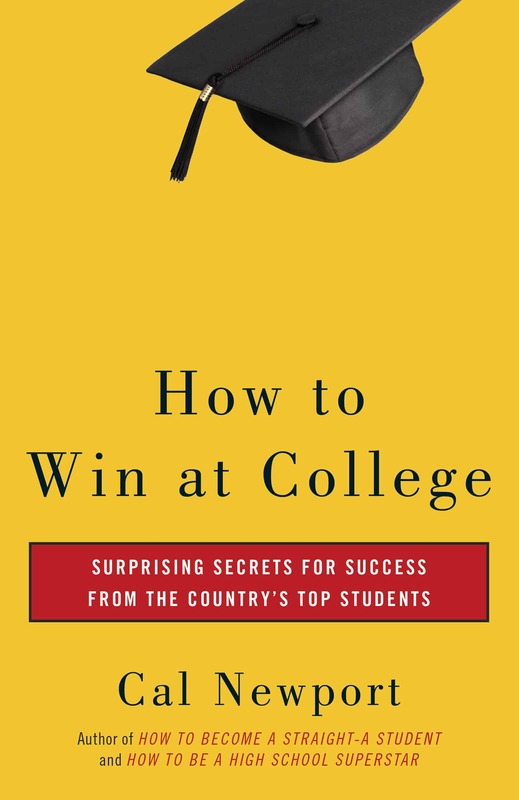 Will this upcoming book be applicable to rising seniors? I’m considering getting it but I’m not sure how much help it would be, having less than a year until I start applying to colleges. Yes. Some of the students I profiled made their changes in the fall of their senior year.